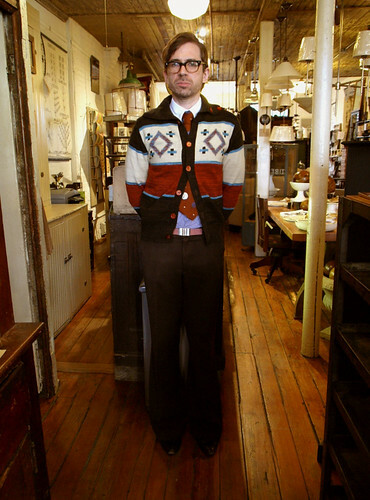 I absolutely love this guy's look - the sweater, the shirt, the glasses, all of it. You can't quite see it in the photo, but he even had small brooches along the bottom of his tie. Totally original. The cardigan looks like cubism. Delightful! Oh my god I love this man.